Onboarding solutions must integrate business processes, content management, and compliance capabilities to harness their power. Boston, September 22, 2016 – The client onboarding process has historically been heavily paper-based and ripe for errors. New technologies have emerged that aim to automate and standardize the process of onboarding a new client, and the vendors offering client onboarding solutions come from a variety of backgrounds. 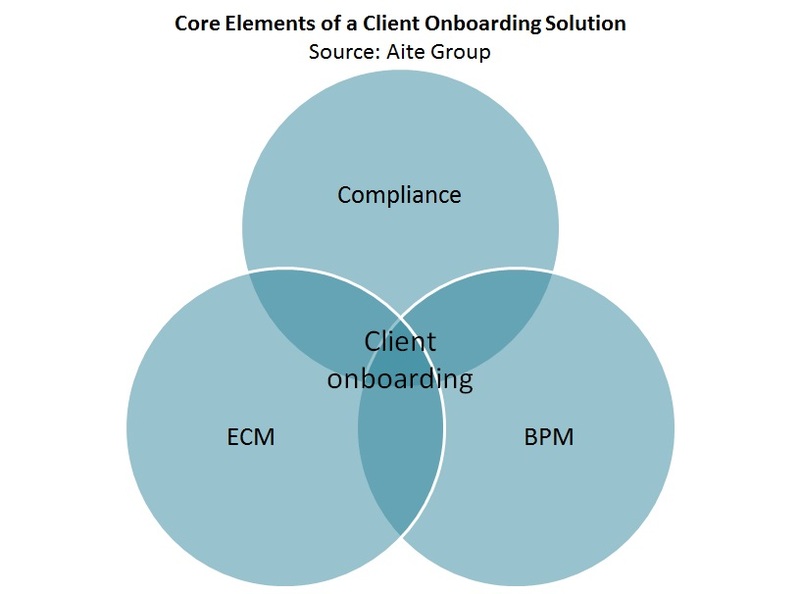 What factors should wealth management firms consider when determining which client onboarding approach best fits their needs? Based on Q2 2016 Aite Group interviews with 10 client onboarding technology providers and interactive demonstrations of each vendor’s platform capabilities, this report outlines the key steps in the client onboarding process and explores the vendor landscape across the global wealth management sector, profiling onboarding solutions from Appway, Docupace Technologies, Doxim, Fenergo, FIS, Impact Financial Systems, IMTF Group, Lexmark International, Scivantage, and The Athene Group. It is the second in a series on client onboarding—find the first here. This 60-page Impact Report contains 16 figures and 25 tables. Clients of Aite Group’s Wealth Management service can download this report, the corresponding charts, and the Executive Impact Deck.